Good news for enthusiasts of mobile devices – Bluetooth technology is stepping up! Before the year is over, we will be able to use mobile devices with Bluetooth 4.0. 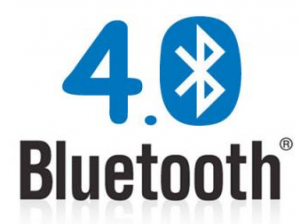 Version 4.0 was just recently approved by the Bluetooth Special Interest Group. This means that the manufacturers of mobile devices will now have access to the necessary tools to use the technology in their products. What are the advantages of Bluetooth 4.0 over the current version? Perhaps the biggest attraction of this technology is the fact that it uses considerably less power than the previous versions. The implications of the low power consumption are immense. For one, concerns about using electronic devices in sensitive areas due to potential interference can be forgotten. With the amount of power being used by the technology, it will not really be a problem. Batteries are also going to be much smaller – just like coin-cell batteries for little devices such as wristwatches and the like. More than that, in spite of the low power consumption, 1 megabyte of data can be transferred at a time using Bluetooth 4.0. Of course, it also comes with the same capabilities of Bluetooth 3.0, such as sending as much as 25 megabytes of data via Wi-Fi 802.11. In spite of the very recent approval of the technology, it will soon be available. It may not mean much to the average consumer at this point, but once manufacturers incorporate Bluetooth 4.0 into more devices, it should catch on.